This is a true story which I witnessed and participated in the other day. I was checking out at small record store down along the Central Coast of California when a fellow stopped in asking the clerk if they sold turntables. They do sell used gear periodically as the person behind the counter explained and a discussion ensued narrowing down the customer's needs and budget. This was all fine and good and the store has to be commended for offering to check their sources for available models from a local refurbisher. All cool there. 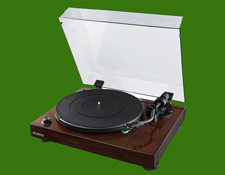 But then the customer went off on a micro-rant about how in his perspective there seemed to only be two extremes offered in the world of turntables today: the inexpensive plastic USB type models sold in big box retailers and hipster clothing outlets and the multi-thousand dollar uber-audiophile turntables many of us dream of one day owning when we win the lottery. 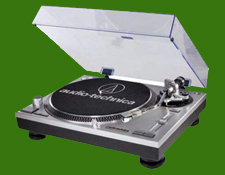 It was there that I jumped it to counter the customer's perception, explaining that there are indeed plenty of good quality, reasonably priced turntables in the $200-400 range including models by Pro-ject, Music Hall and others. 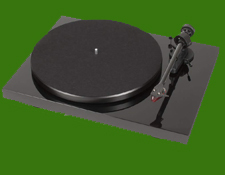 I explained to the customer that if he looked around a little bit (off the top of my head I told him to check MusicDirect.com) he could find a high quality, respectable turntable very reasonably priced. He appreciated my input and enthusiasm. 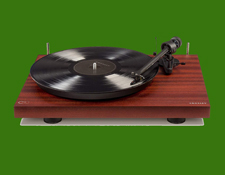 And thus I had the idea for this article which is less for you established audiophiles and more for your friends and family who you'd like to enjoy your hobby with the same gusto. This is for you readers who are new to the hobby or for the folks who want to move up from their entry level players without breaking the bank. I assembled this quick list just doing searches on Amazon. I asked noted turntable expert and journalist friend Michael Trei if I missed any key brands. 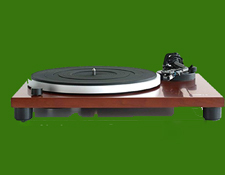 He hepped me to a Crosley model that is being now made by Pro-ject and a new brand called Fluance that is getting great reviews for its price and performance. So I included them on the list. Which reminds me that I need to remind you that this is not a "review" as I have not personally listened to most of these players (I've only heard the Pro-ject and Music Halls in person). No, this is more like a preliminary shopping list and you should do your own research in making your decision. 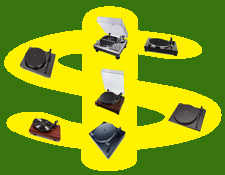 So...you see, there are a lot of decent affordably priced turntable options out there even just poking around on uber-convenient Amazon. Wrapping up, I have to add that this exercise was a bit alarming to me as a marketing professional who has served the consumer electronics industry for decades. It is discouraging to come face to face with this sort of misinformation out in the field in this day and age. There are more ways to reach consumers now than ever before so manufacturers really have no excuse. The audio industry should be stepping up its promotional and PR game, not cutting back. Historically, I have not written about this sort of thing as it had the potential to become a conflict of interest with clients I represented over the years. But no matter who you use or how you get the word out, the point is that as an industry the audio business needs to do better job at reaching their audiences in order to keep the market alive, nurturing a new generation of audiophiles who are getting ready to step up their game or returning enthusiasts wanting to get back into the hobby.